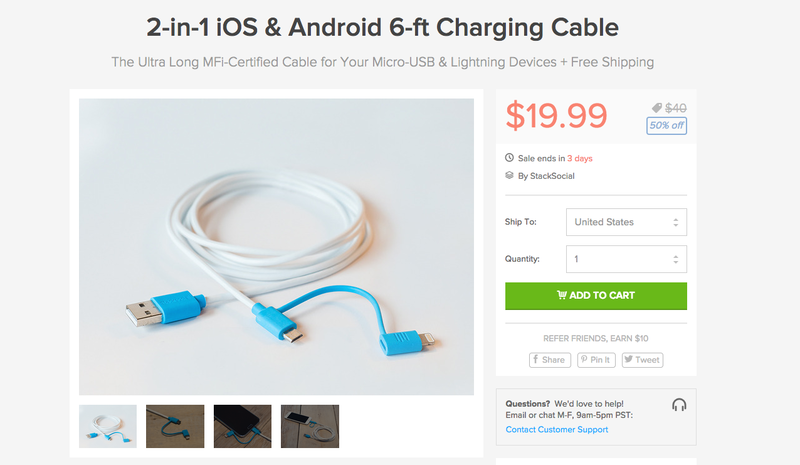 For a limited time through the DL Deals Store, you can grab a 6ft charging cable, capable of charging both Android and iOS devices via a USB port. On one end you have a typical USB plug, but the other can either be micro USB or Lightning, depending on which you need. The micro USB/Lightning end is stackable for quick swaps. It’s the perfect little accessory for households who hold members of the Android team, as well as the iOS team. If the usefulness of this cable fits your needs, check out the link below.